Do you believe you have an animal stuck in your air vents? 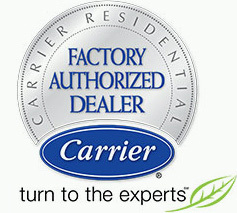 Call us now at (561) 922-3199. Once you are aware that an animal is stuck in the air vents, turn off your AC system. This will ensure that whatever is living in there, won’t soon be burning through your ductwork, creating a bigger problem. How Did the Animal Get in the Air Vent? Find the source of how exactly your new friend (or foe) found its way into your ductwork. Get up on the roof, or have someone else get up there, and look for any holes or gaps in your roofing materials. Once you find the source of the infiltration, do what you can to block or correct the issue. 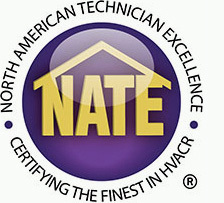 If you can not find the source then it is best to give an HVAC or roofing expert a call. If the animal is some sort of rodent, like a mouse, rat or squirrel, or even larger critters like a possum or raccoon, try to set traps in the home and air vents. Traps are available so that you may remove animals safely and humanely. Or, if you would like someone else to handle the issue, contact a local wildlife or pest control professional and they should be able to determine the best way to handle the issue. We’re pretty sure learning an animal is stuck or living in the air vents isn’t a story that’s fun to tell more than once. Conduct a thorough survey of all outside areas of your home every couple of weeks to locate any entry points that would be easy for an animal to gain access. A clean and maintained air duct system is another way to keep an eye on any possible animal parties, or other situations, happening within your ductwork. An animal getting stuck in the air vents of a home is nothing new for our team of experienced HVAC professionals. Do not hesitate to contact us today if you are worried about animals in your air vents or have any other heating, ventilation or air conditioning concerns.